In his letter dated April 6t 2016 and which he personally signed and addressed to the Acting President of MARAN, Mr Funso Olojo, the NIMASA boss promised to engage the support of well-meaning Nigerians and other stakeholders such as MARAN in his task to re-positioning the agency. 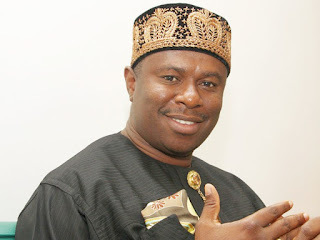 Peterside, who acknowledged the solidarity message sent to him by the association on his resumption of office, therefore solicited for the support of MARAN in ensuring the success of his tenure. ‘’I assure you that I will partner with well-meaning Nigerians and stakeholders like you(MARAN) in the discharge of my duties and responsibilities as Director –General/CEO and in the realization of the mandate of the Agency. ‘I count on your continuous support in accomplishing this very important national assignment’’, the NIMASA helmsman declared. The association, in its congratulatory letter to the NIMASA DG dated March 24th, 2016 and signed by Olojo assured the new helmsman at NIMASA of its support in his task of achieving the core mandate of the agency. The association has recognized the sterling qualities of Dr Peterside, especially his high cerebral qualities and political sagacity which it noted earned him the confidence of Mr President to bestow on him the task of rebuilding the apex maritime regulatory agency. The association therefore expressed implicit confidence in the ability of the new NIMASA DG to bring to bear on his new assignment his rich experience in public life and agility as a young administrator to better the lot of the industry. ‘’This appointment is a clarion call to duty, placing a huge burden of service to Nigeria on you, especially giving the rot in the industry. “Your appointment by Mr President is a clear testimony of his confidence and trust in your ability and intellectual acumen to re-position the agency for optimal performance and efficiency’’, MARAN had stated in its congratulatory letter to Dakuku.